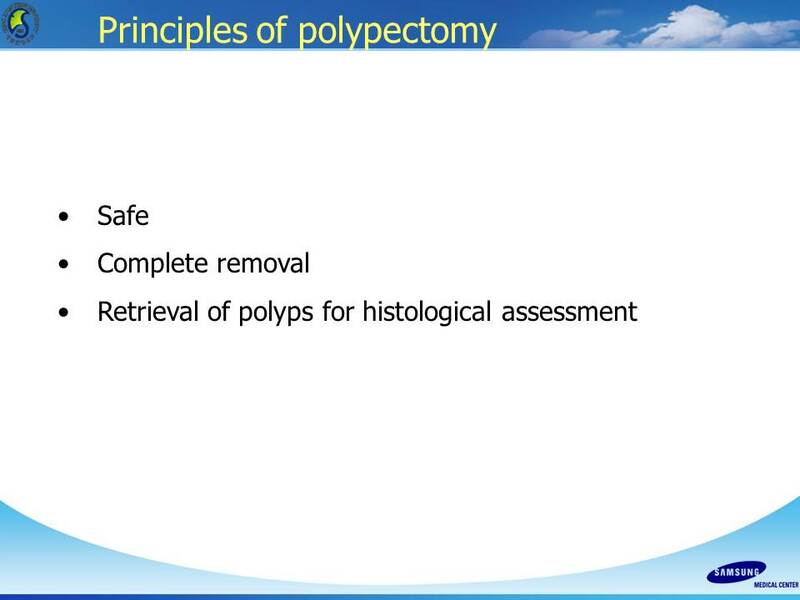 Colon polypectomy에 대하여 장동경 교수님께서 강의해 주셨습니다. 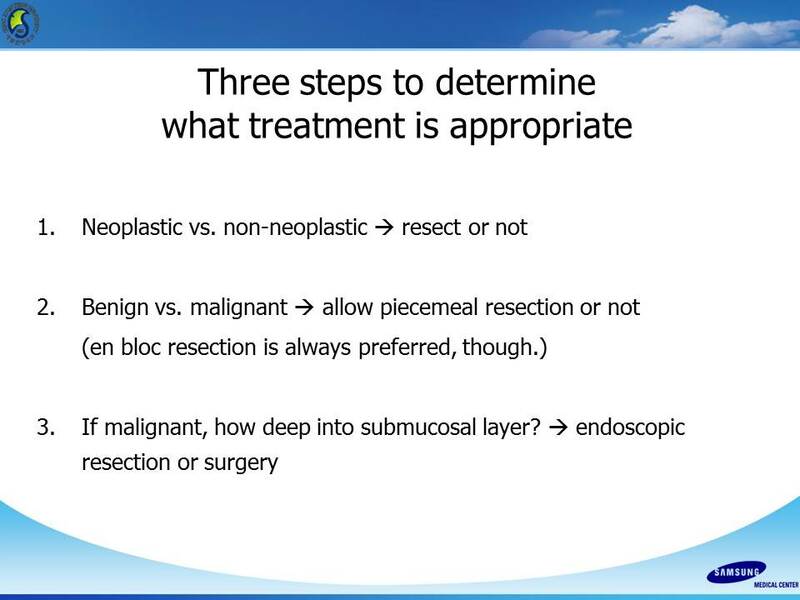 3 mm 이하는 cold biopsy로 제거할 수 있으나 이보다 크면 cold biopsy로 제거한 후 residual tumor가 많이 남습니다. 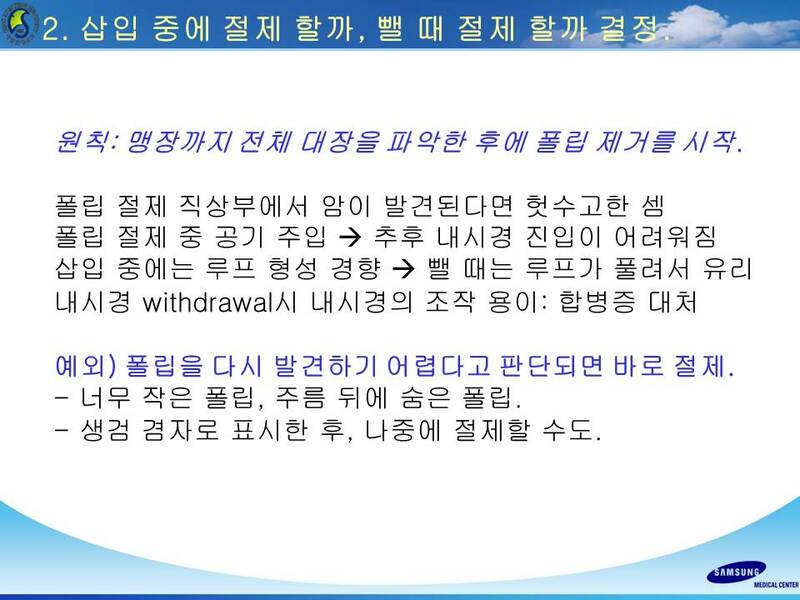 4-7 mm 는 cold snaring으로 제거할 수 있습니다. 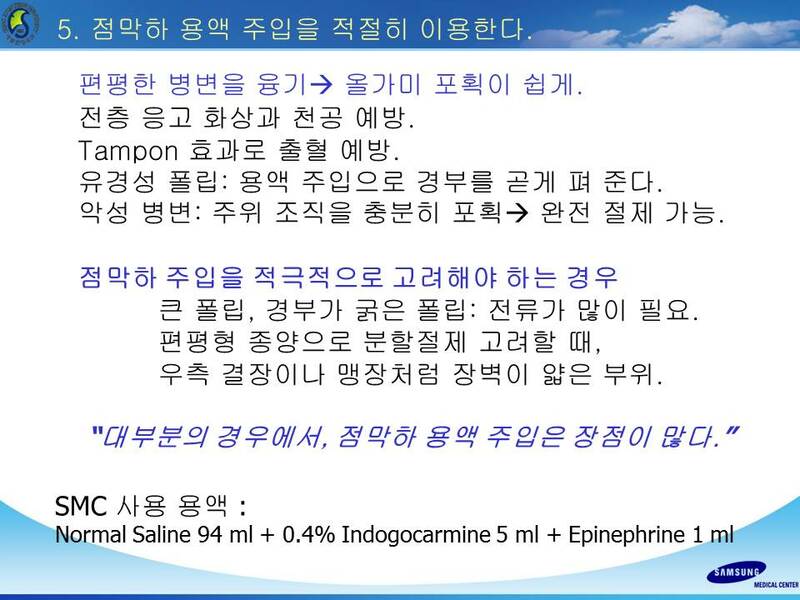 Snare로 제거하면 snare polypectomy로 처방할 수 있습니다. 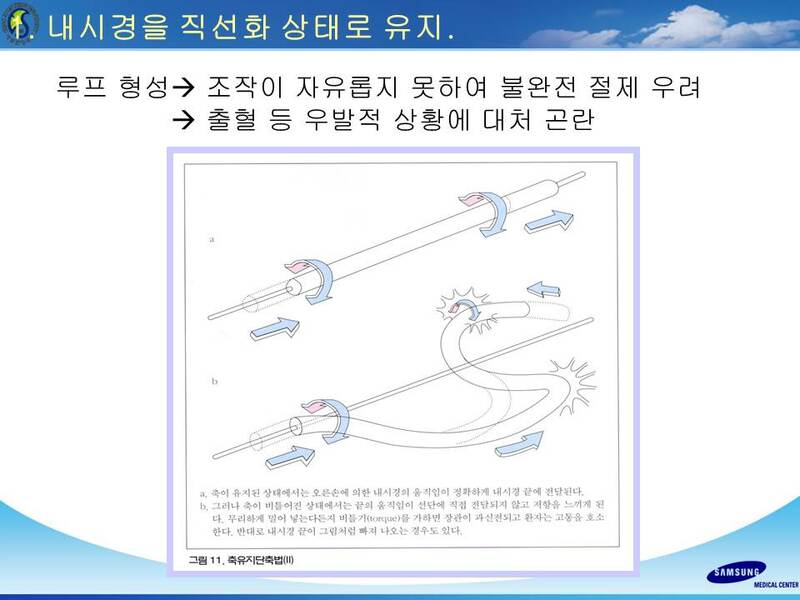 Cold snaring 할 때에는 tenting을 하지 않아야 합니다. Cold snaring 후 약간의 oozing은 대부분 저절로 멎습니다. Delayed bleeding은 hot snaring보다 적습니다.